Those who are looking for a new cat food for their beloved pets are in for an exciting holiday treat. Felix cat food is currently giving away free samples of the all new Felix variant called As Good As It Looks Doubly Delicious. This is the kind of cat meal that will certainly excite your pets. The new flavor provides for two exciting meal flavors in just one serving. So just double the fun and treat your cat to something special today – all for free! This offer can be redeemed by using World of Felix tokens. The offer is good for UK, IOM, ROI, and CI residents who are 18 years old and above. While further purchase may be required, each person is entitled to one free sample per order. This deal may close really soon so try to avail of your free sample as early as now. Simply go straight to the Felix cat food’s official website and redeem the tokens you have been saving for all this time. Felix is a brand created by world-renowned cat food manufacturer, Purina. So you’re really not testing anything new here. For one, you’re just exploring the delicious possibilities that your beloved pet may enjoy. 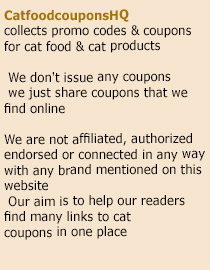 To be one of the first people to know about all the exciting coupons, deals, and offers from Felix cat food, sign up for their newsletter right from the same page. Try the all new Felix variants and see how much your cat will delight in its fantastic double flavor.